Do Scandinavians Like Scandi Style? Scandinavian interiors are everywhere, and the style came to stay. Whether it’s a fully Scandi home or just a few hints of the Nordic influence, Scandinavian design brings balance of functionality and aesthetics to the space. A blend of styles from Sweden, Norway, Denmark and Finland, the design’s strongest features are lit spaces, great usage of natural elements, clean lines and neutral colour palettes. Following that trend, it’s hard not to wonder what do Scandinavian people actually do when it comes to decorating their homes. Are they following these trends or have they moved on to the next big thing? Or is it something so natural that they wouldn’t even know how to live differently? Glancing at Instagram accounts from Swedish interiors influencers, it’s easy to find the answer. Homes with a lot of light and minimalistic features, that can be both inviting and sleek, and most importantly: it all seems to come together effortlessly. Yes, they like their Scandi style very much. 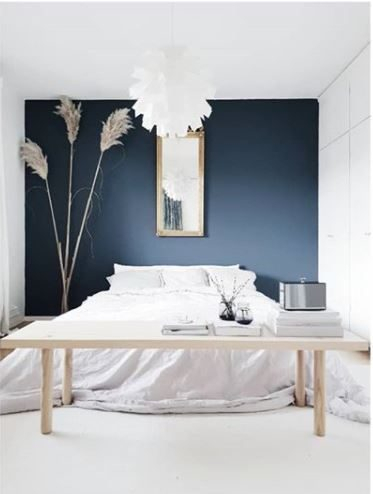 In the middle of all these interiors accounts with pictures of chunky knit throws, sheepskin rugs and candles, we ran into Filippa Lange, a Swedish Interior Stylist who runs a very successful Instagram interiors account. We spoke to Filippa to try and understand more about how popular interior styling is in Sweden, how do they perceive Scandinavian decor within Scandinavia, and how to stand out when showing your work online. Home Staging Association: Can you introduce yourself and describe what you do? Filippa Lange: My name is Filippa Lange and I am a Swedish 29-year-old art and interior lover. In my spare time I run my Instagram account @filippalange with focus on Scandinavian design/details and interior. I live in the south of Sweden with my fiancé. I am an educated interior stylist and I have worked with design for the past four years. HSA: Tell us a bit about your Instagram account: what do you like to post and where do you find inspiration for it? FL: I started my Instagram account in July 2017 when I was sick. After a while it grew quickly, and I received a lot of attention. I started to be more active and posted more pictures, and after about two months I had a few different companies that wanted to collaborate with me and make me their ambassador. That was amazing. I never thought that I would have that opportunity. I love to take photos of my home, interior details and flowers. All my pictures are taken by myself! I get a lot of my inspiration from idea’s in my head and from Danish, Norwegian, Swedish and Finnish design, and of course from other wonderful Instagram profiles and magazines as well. HSA: How would you describe the title "influencer"? FL: This is a little challenging, as influencers come in many shapes and forms. Basically, influencers are individuals that pursue an influence over a certain group of people through their online presence. In marketing, these people can be used in a variety of ways to promote a brand. HSA: How do you feel about people from all over the world being so drawn into Scandinavian interior design and style? FL: I am not too surprised. Scandinavian design is a design movement characterized by simplicity, minimalism and functionality. And who doesn’t want that? HSA: Can you describe your house decor? Is its design completely Scandinavian? FL: My home is very light and minimalistic. I love clean spaces and earthy colours. I have to admit that almost everything in my home is of Scandinavian design, except for two African statues. HSA: Can you give us any tips for taking the best interior pictures? - Pay attention to the light: The light gives different effects on the pictures so think about what kind of style you are looking for. - Make the image personal: Give the pictures a personal touch. Show who you are, then the images become much more interesting! -And last but not least, focus on the main subject in the picture. HSA: Do you think if you lived in another country, for example, USA, would you still have a strong Scandinavian interior style? FL: Yes, absolutely. I cannot stand clutter or dark colours. But I would absolutely mix with some decor from the country that I live in. I love the light, air, lines, simplicity and the minimalism of Scandinavian interior design. I would never exclude it totally! HSA: How does it feel to be part of the Swedish interiors, beauty and lifestyle scene? FL: I never could imagine that I would be a part of it. Now that I am it is absolutely amazing. But you also need to be a realist that it is a lot of work behind it. I also have the opportunity to meet a lot of talented and lovely people. HSA: Do you have any tips for those wanting to start a successful interiors account on social media? FL: Be brave and trust yourself! I think success is about daring, believe in yourself and do not be afraid to constantly try new ideas. I always follow my gut feeling. That is my best friend most of the time.